Vi har fanget opp følgende pressemelding vedrørende Stephen Stills sykehusbesøk den første uka på nyåret. 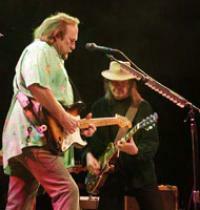 »Stephen Stills had successful surgery 3. January in Los Angeles for prostate cancer. «Stephen's procedure went remarkably well and he couldn't be better,» his wife Kristen said in a statement. Stills is scheduled to attend the Jan. 25 premiere of the Crosby, Stills, Nash & Young film «CSNY / Deja vu,» at the Sundance Film Festival in Utah. The movie, which was directed by Neil Young under the pseudonym Bernard Shakey, chronicles the group's 2006 Freedom of Speech tour.